Do you know your Draughts from your Nine Men's Morris? Your Ludo from your Snakes and Ladders? 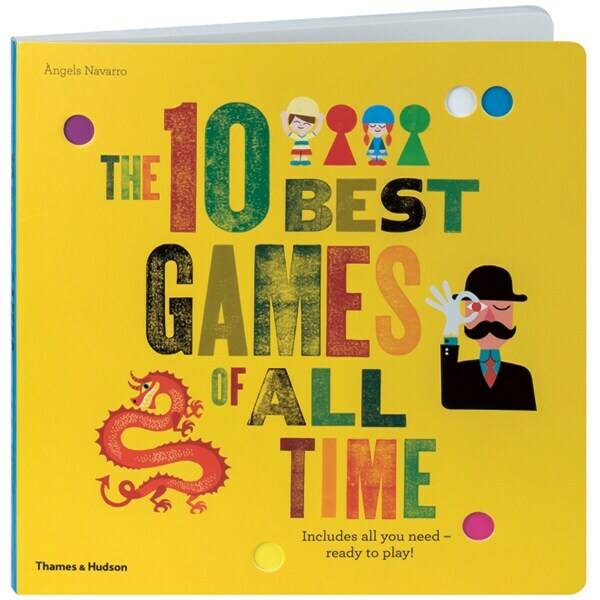 Along with these favorite British games you'll also find the Goose Game (medieval Germany); Solitaire (18th-century France); Chinese Checkers (in reality, a German game based on an American one); Bizingo (inspired by the American Civil War); the Royal Game of Ur (from ancient Mesopotamia); and Agon (or Queen's Guard) from 19th-century Europe. Designer Àngels Navarro gives each board a playful graphic design. Presented in an oversized board book with five removable double-sided game boards, the collection includes tokens, playing pieces, and even an ingenious slot-together die.